I’ve recently upped my protein game to help me feel fuller for longer and aid my new workouts at the gym. But I’m already getting fed up of chicken and eggs and eating the same thing for lunch and dinner so this week I went on a bit of a new recipe mission! 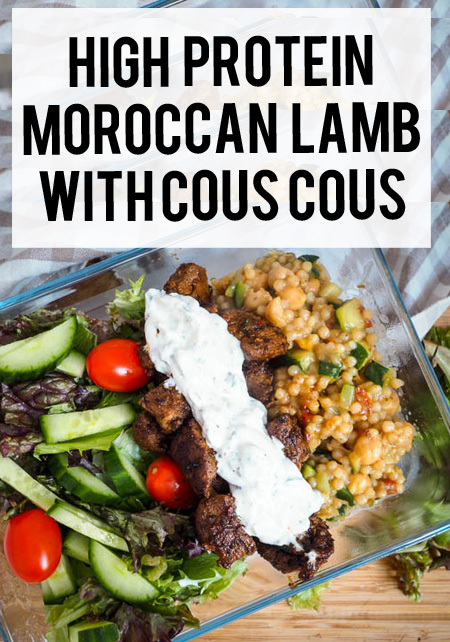 It turns out Lamb has about the same level of protein as chicken AND it also has the added benefit of B vitamins to help fight tiredness and Iron and Zinc for a healthy immune system. Praise the lunchbox gods, here’s to a bit of variety! 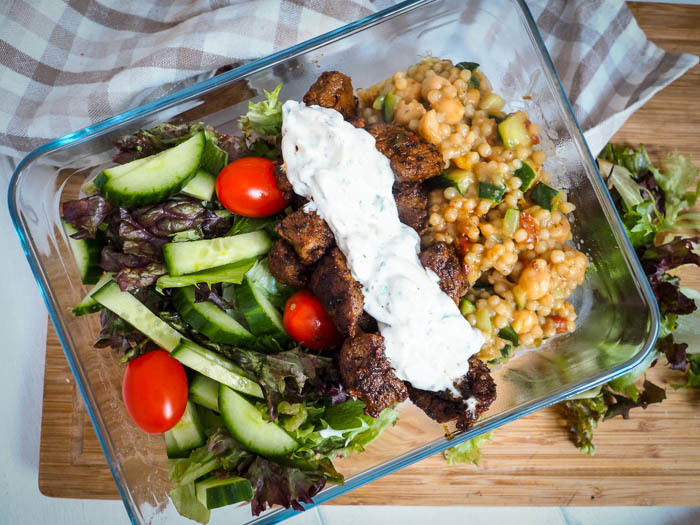 I got out my spices and started experimenting until I came up with this office friendly on the go heathy lunch recipe! 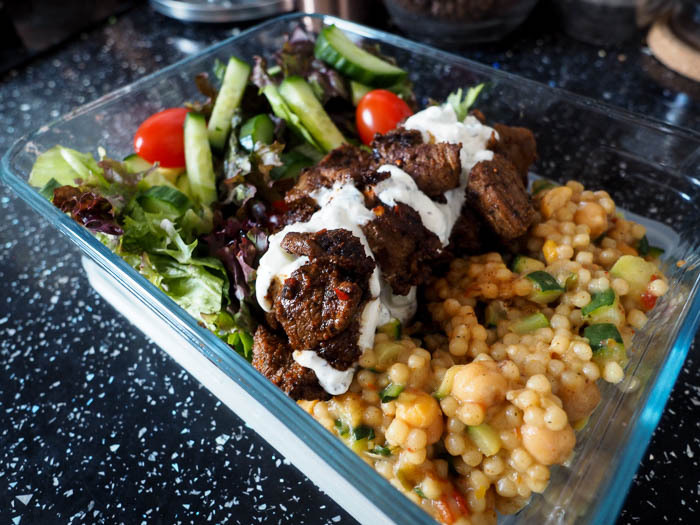 So if you fancy something a little different in your lunchbox that’s packed with flavour, protein and vitamins and can be meal prepped ahead of time…this one’s for you! Mixed salad – leaves, cucumber, tomatoes radishes – whatever you fancy! 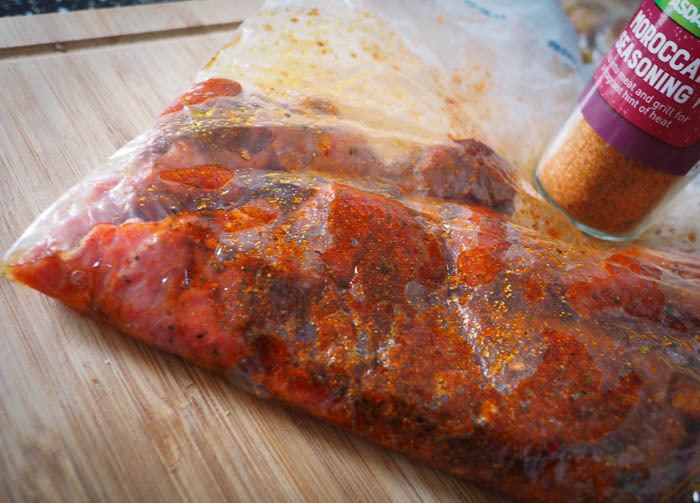 Marinate for 4 hours with a couple tablespoons of olive oil inside a sealed sandwich bag – don’t skip this step, it adds so much flavour! 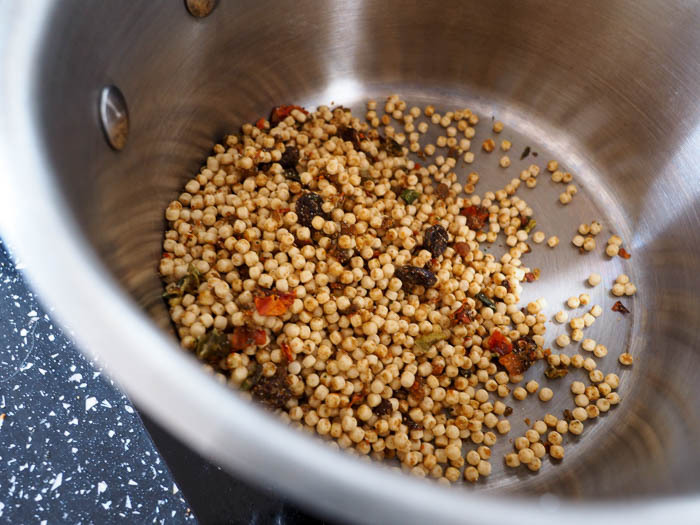 Make your cous cous according to the packet instructions and let it cool. Make a quick fresh salad with whichever ingredients you like – I love cucumber and tomatoes in mine! 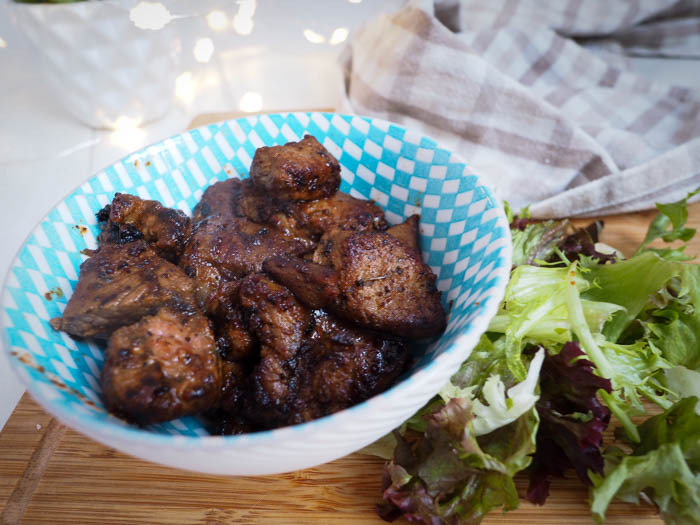 Place into a lunch box along with your mixed salad. Top with the lamb and a splash of tzaztiki! The result? A high protein salad to keep you full all afternoon, packed with nutritious veggies and lots of flavour! But be warned, your office buddies may try to steal this one out the fridge…post it notes at the ready! *Paid collaboration with Try Lamb Love It! Recipe and opinions all my own!